” Got the Blues ” is a food themed still life watercolor painted in the realist tradition. 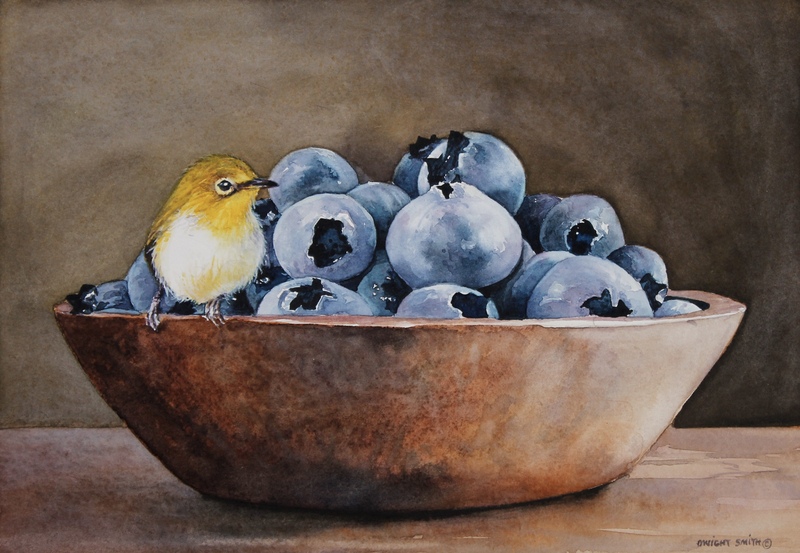 It is blueberries in a rustic wooden bowl with a little yellow bird perched on the bowl. The background, fruit , and bowl hues are rich to contrast the yellow bird. He has enough blueberries for breakfast, lunch, and dinner. Thanks for visiting my art. This watercolor will be on view and available at UGallery.com.